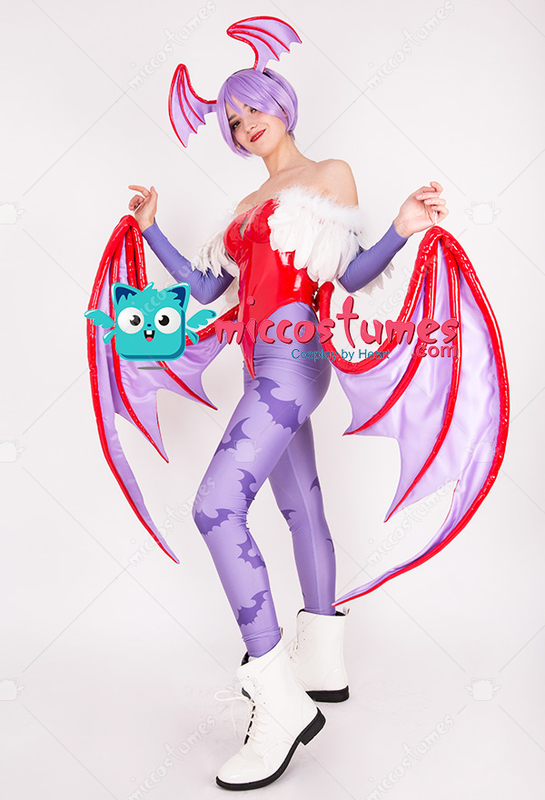 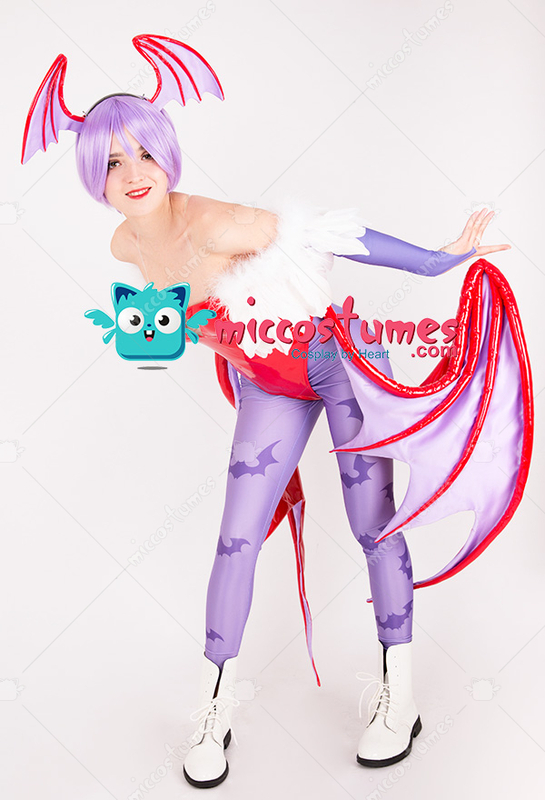 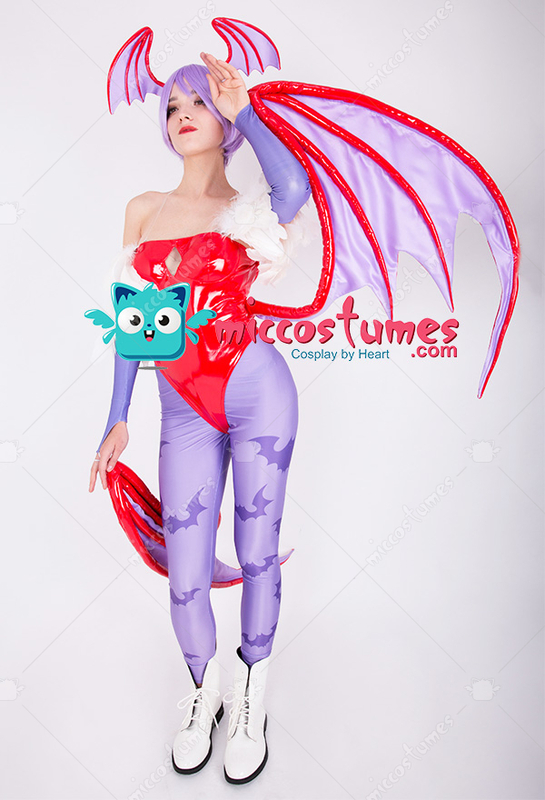 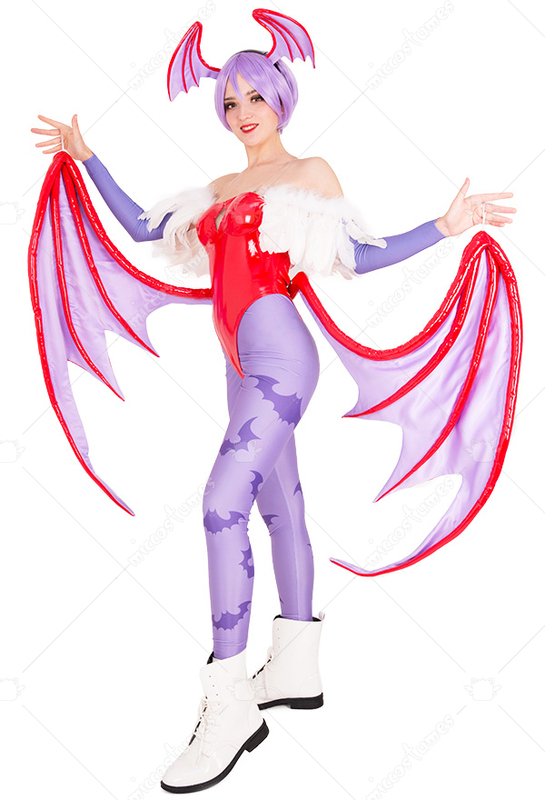 This costume includes swimsuit, pants, gloves×2, wings×2, headdress, feather decorations×2. 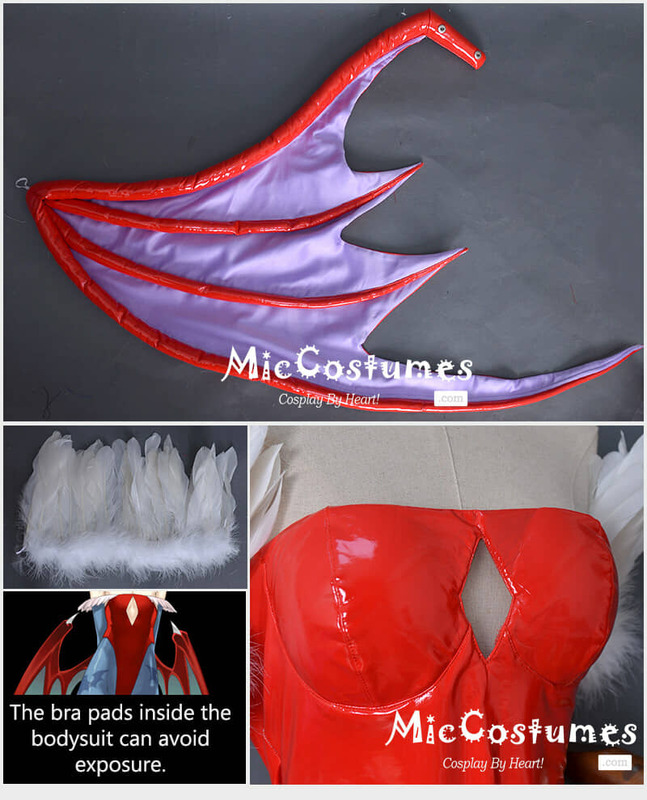 It is made of spandex, PU leather, satin. 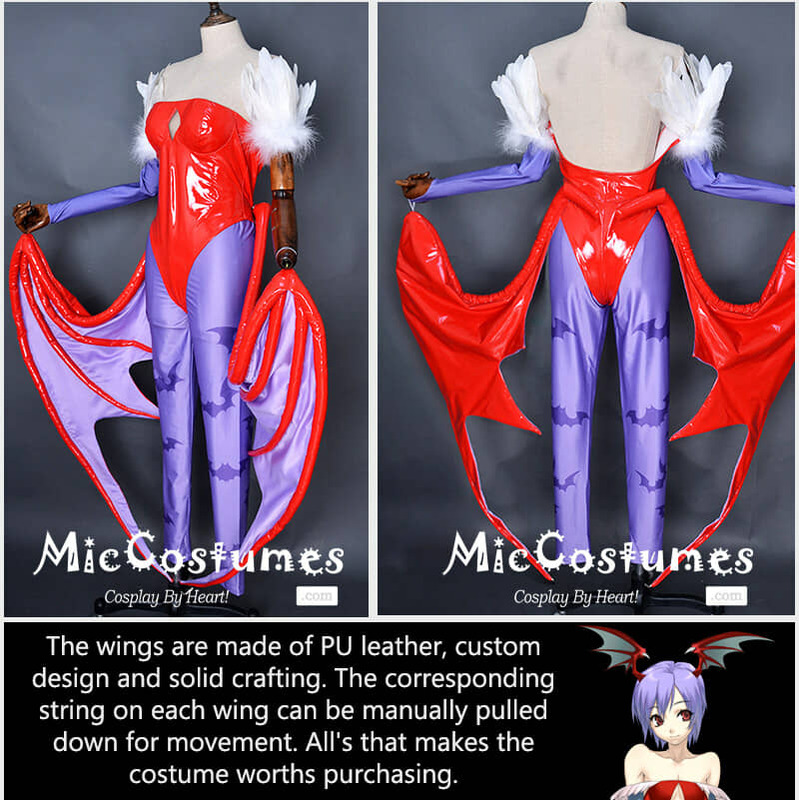 The color of the leggings will be modified to restore the role of Lilith. 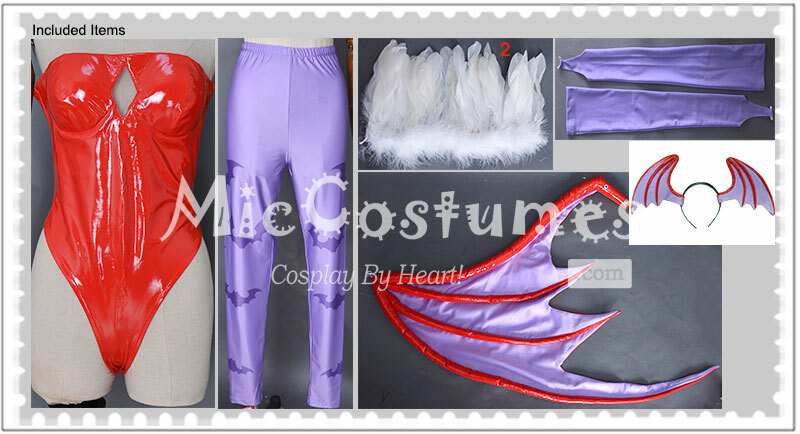 The current color is the initial version.